When Zambian president Michael Sata suspended a Supreme Court judge and two high court judges and set up a tribunal to probe their alleged misconduct, he probably did not count on the political backlash that the whole matter would engender, even threatening the tenure of his Director of Public Prosecutions. President Sata suspended Supreme Court Judge Philip Musonda, along with High Court judges Nigel Mutuna and Charles Kajimanga for allegedly improperly transferring a civil case in which state-run Development Bank of Zambia (DBZ) had sued the Director of Public Prosecutions Mutembo Nchito with his lawyer brother Nchima Nchito and private newspaper The Post owner, Fred Mmembe over an unpaid debt of K14 billion or US$2.5 million in their capacity as directors of defunct airline, Zambian Airways. Justice Mutuna, in his judgment, ruled that the defendants pay back the debt. The airline’s and it’s directors’ woes started under the then MMD government whose leaders under President Rupiah Banda called the company’s debts it owed DBZ and the National Airports Corporation, a state company that runs major airports, apparently because the Nchitos had been in the forefront prosecuting Zambia’s second president Frederick Chiluba who had been appearing in court for plunder of national resources. The former president’s cases were discontinued after his successor, Levy Mwanawasa, who initiated the cases, died. Mmembe, on the other hand, was also and still is The Post’s managing editor. The newspaper has over the years single-handedly exposed corruption and shortcomings of government officials and was instrumental in having Chiluba’s immunity lifted, arrested and prosecuted. One of the three suspended judges, High Court Judge Philip Musonda. Photo courtesy of statehouse.gov.zm. The head of State noted that his office has received numerous complaints about Justices Philip Musonda who is a Supreme court Judge, Charles Kajimanga and Nigel Mutuna who are High court Judges, from the Law association of Zambia, Lawyers within the judiciary and members of the public. President Sata noted that the terms of reference would be based on the allegations that the trio interfered with a case involving the Post newspapers, Development Bank of Zambia (DBZ and JNC holding limited and Mutembo Nchito. Fred M’membe is also the editor and proprietor of The Post, the main daily independent newspaper in Zambia that supported the PF in last year’s elections while Nchito is the Director of Public Prosecutions (DPP). A consortium of opposition Political Parties in the country says impeaching President Michael Sata remains an option as it is evident that he has seriously breached constitutional and warrants the President to be impeached according to Zambezi fm. The opposition political parties being led by Alliance for Development and Democracy President Charles Milupi said Mr. Sata has breached the supreme Law of the land on several occasions and the recent one being the suspension of three Judges. LOOK INTO THE ACTIONS OF A JUDGE OF THE SUPREME COURT AND 2 JUDGES OF THE HIGH COURT COUPLED WITH HIS DECISION TO SUSPEND THESE JUDGES PENDING THE OUTCOME OF THE TRIBUNAL HEARINGS, IS BASED UPON A COMPLAINT FROM PERSONS CONSIDERED PUBLICLY TO BE CLOSE ASSOCIATES OF THE PRESIDENT. 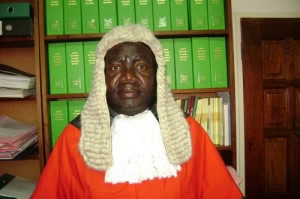 Another politician and lawyer, Sakwiba Sikota, a State Counsel equivalent to a Queen’s Counsel in Britain, told an internet-based citizen radio, CrossFire Blogtalkradio, that there was an “incestuous relationship” between the complainants, the appointing authority and the Malawian chairman of the tribunal, Justice Lovemore Chikopa. You voted for Sata. Now Zambians will see in real life what a corrupt government actually looks like and how it works. People used to complain about corruption, but now they will realise that many of those times in the past people used to be just too suspicious even when things were straight. Now, you have in government a party that openly practices corruption. You don’t have to be an expert to see this and whoever is supporting Sata on this case is plainly stupid and corrupt himself. Even Dora Siliya’s case is chicken feed compared to this mammoth corruption where the President is openly supporting his people to steal from a public development Bank that is funded by public tax payers… Very annoying and disappoiting at the same time. This is the first time when a President has practiced OPEN CORRUPTION in the history of the country. Even Chiluba was not as arrogant as this. It is unacceptable and should not be allowed to continue. This whole case stinks of irregularities and the crafty dealings of people like Nchito within the legal fraternity. It seems the issue is not the judgement but the circumstances in which the case was moved from Judge Albert Wood and also the fact that DBZ had submitted a notice to discontinue the case. Former president Chiluba had two cases brought against him; a criminal charge of theft by public officer in the Lusaka Magistrate’s court, and a civil case to recover money or the proceeds thereof, in the London High Court. NEITHER of those two cases was discontinued. Mr Chiluba was acquitted by the magistrate, and was found liable by the London court. The State refused to file a futile appeal in Lusaka, based on defective and speculative charges, and failed to register the London judgment for want of law. cobra @ work wapya walemana that’s why I will never come back home soon.